Cleaning your refrigerator is certainly not a fun task, but refrigerators take an enormous amount of abuse and can get downright disgusting. When you're embarrassed to have your guests get a beer out of the fridge, it's time to use About.com's tips to get your refrigerator so sparkling clean you'll be proud to show it off when friends visit your apartment. First, take all the food out and throw away anything that's old or expired. The food that is still edible should be placed in an ice-packed cooler so it won't spoil during the cleaning process. Next, remove all the shelves and drawers. If they are metal or plastic, they can be washed with hot water and dishwasher soap immediately. If they're made of glass or ceramic, allow them to warm up to room temperature before you wash them or they will crack. Wipe down the refrigerator from top to bottom with a clean cloth, hot water and dish soap or another mild cleaner. Don't forget the door! Dry the interior as well. If you had to wait to wash the shelves and drawers, clean and dry them now. Put all your food back now, organizing them by type so it will be easier to find things in the future. Wipe down any jars or food containers that are coated with sticky food residue. Time to move on to the freezer. Follow the same steps as you used on the refrigerator. This part should go much faster because freezers don't usually get quite as yucky as fridges. Now, clean the outside of the fridge, top to bottom. Use hot water and a mild dishwashing detergent. If your fridge is stainless steel, be sure to use a soft rag and vinegar or window cleaner to get the surface shiny. Make sure to clean the rubber gasket around the edges of the door! Periodically throughout the year, you also should check and clean the drip pan and vaccuum the refrigerator coils. To keep your fridge clean longer, clean up spills as soon as they happen and throw old food out each week. You should also keep a box of baking soda in the back of your fridge and freezer to eliminate odors. Blocking out noise at night can help you get a more restful 8 hours, although depending on whether you're a city dweller or a country dweller, the noise you're trying to not notice can be different. No matter where you live, Apartment Therapy helps you get back to sleep! White noise can block out all sorts of obnoxious noises, from early morning birds, to the trash being collected, to neighbors talking next door in a thin-walled apartment. You can either purchase a machine that specifically makes white noise or there is a WhiteNoise app that will work just as well. For me personally, noise machines, (the ones that can play waterfall or rainforest sounds), don't work because I can hear when the track starts over. But using a fan or air conditioner can have the same effect. Fabric can also be wonderful at keeping out ambient noise. A set of thick drapes can prevent sound from coming in through the windows and rugs are also great at absorbing noise. Another trick is to rearrange your furniture and put your bed on the wall across from the window instead of underneath it. Of course, this only works if your bedroom is large enough to allow options when arranging the room. Finally, sometimes you can address the underlying problem. 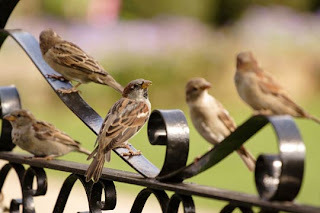 Although you can't ask the birds not to engage in their morning performance, you can (nicely) ask your upstairs neighbor to not wear heels around their apartment or ask neighboring restaurants to coordinate their trash pick-up so it all happens at the same time rather than three or four times a night. Organic and natural foods are increasingly popular among consumers, and Whole Foods is growing as a result, Statesman.com reports. While traditional grocers like Krogers and Safeway are closing stores, Whole Foods is opening new outlets all over the country, partially due to an estimated 15 percent of the public that are loyal to organic and natural foods. The organic foods industry saw a 9.5 percent growth in the US in 2011 and totaled $31.5 billion, and Whole Foods has become the name synonymous with organic groceries. 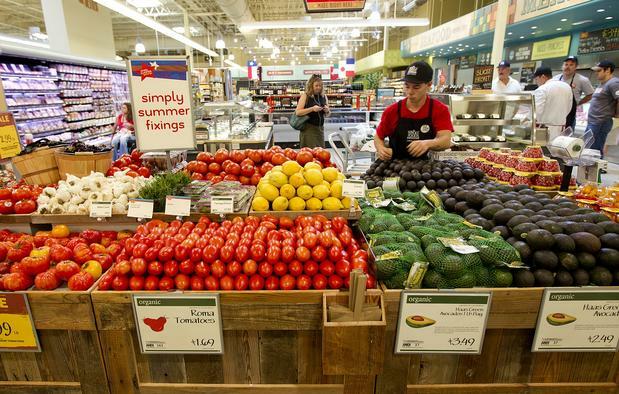 Since 2007, Whole Foods has added 53 stores, including two in the Austin area in the third quarter alone. Whole Foods has capitalized on the public's focus on healthy eating to the tune of $1.5 billion in cash on hand. In July, Whole Foods's third quarter profit was $116.8 million, an increase of 32 percent over a year ago. Whole Foods' officials hope to expand to 1,000 stores, but they are planning on growing slowly. 2012 will see the addition of 25 new stores, they hope to add 28-32 next year and 33 to 38 in 2014. They are also expanding to smaller markets where previously no one had ever heard of the brand, rather than the wealthier urban customer that had been Whole Foods' bread and butter. Other organic grocers such as The Fresh Market, a chain out of North Carolina, added 39 stores since 2007 and has plans for more. 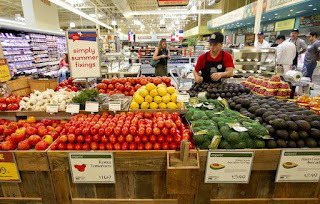 HEB is also poised to compete with Whole Foods, both with their Central Market stores and by adding more natural and organic stock to their regular stores. Looking for an apartment that fits into your organic lifestyle? Apartment Specialists can help you find the perfect new home!